We normally meet on Sunday mornings at 10.30am at Saffron Walden Community Church in Castle Street, which offers access for disabled visitors. We also meet here for our evening services at 6.30pm. Do check our Calendar, because sometimes we share services with other congregations and these may be at other locations. At our morning services there are usually a good number of children present. We do hold occasional all-age services, but normally we run several children’s groups for the latter part of the service. These currently cater for children up to the age of 15, after they have shared in the first part of the service. Whatever their age children are an important part of our church family. The youngest of them (up to the age they start school) are welcome in our creche which runs throughout the service in a separate room. If babies are too young to be left, parents are welcome to keep them with them in the service. There is also a separate room off the entrance lobby to the church, equipped with video and audio from the main service, to which parents may take their babies for a little time out. The Ladies and Men’s Groups meet independently once every month to share breakfast together; meeting on the first and last Saturdays of the month respectively. 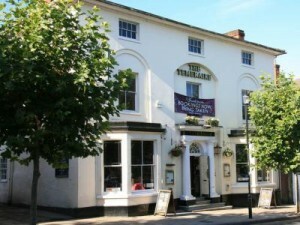 These breakfasts usually take place at the Temeraire, Saffron Walden and are a perfect way to mingle with and get to know others outside the formal setting of church services or other set groups; the emphasis focusing on building friendships and introducing new people to the church community. People arrive anytime in the morning from 9.00am and can order anything from a full breakfast to just a coffee. The groups also take trips, watch films and enjoy barbeques. Please see our Calendar to check dates, times and places. We run occasional short series of lectures on Friday evenings, usually three in a set at monthly intervals which take a similar format to the Sunday evening discussions. [br][br] On one Sunday evening every month, we meet to discuss an issue of current concern to Christians. A presentation is given for about thirty minutes, followed by a general discussion during which all present are invited to contribute. Check the Calendar for upcoming dates. Saffron Walden Community Church’s Music Playgroup runs on Fridays from 9.30-11am, during term times. There are toys, refreshments and a 40 minute music slot. Each session is £2. We also run regular Messy Church sessions on Sunday afternoons from 3.30pm to 5.30pm (check the Calendar for upcoming events). These are craft-based afternoons using creative activities to explore biblical themes, and have no age limits! Saffron Walden Community Church has informal English Language Classes for adults (Beginners, Intermediate and Advanced) on Tuesday evenings during term times from 7.00-8.00pm, please use side door. Each session is £2. A drop-in for those with mental health issues. Drop-in on the first Thursday of the month from 9:00 am to 1:00 pm. Prayer forms an element of all our home group meetings, but about once a quarter we also meet for prayer on a Saturday morning to spend longer seeking God together. In addition, about once a month we meet to explore silent prayer and support one another as we learn this way of listening to God.